As a european leader, we are a strong company growing in the distribution and fabrication of haberdashery products (pins, threads, buttons, patches…), all types of ribbons(lace, bias binding and so on) and furnishing (curtains, rods and tiebacks). Our distribution networks are worldwide (EU, USA, Canada…). Thanks to our 110.000 references of ribbons, haberdashery and furnishing available in our 13.000 square meter warehouse, we are able to meet the best to the need of our customers. Ribbons (plain, fashion, fancy), elastics, cords, laces, embroideries, needles, threads, scissors, buttons, patches, zips, pearls, rods, magnets, tiebacks. Exclusive sales women, men and distributors in Europe and North America. Styling and computer graphics departments to design communication materials adapted to our customers. Showroom: 900m² at your disposal for the development of your product ranges. Delivery within 24 to 72H in the entire world. Design and production of specific products adapted to our customer's needs. 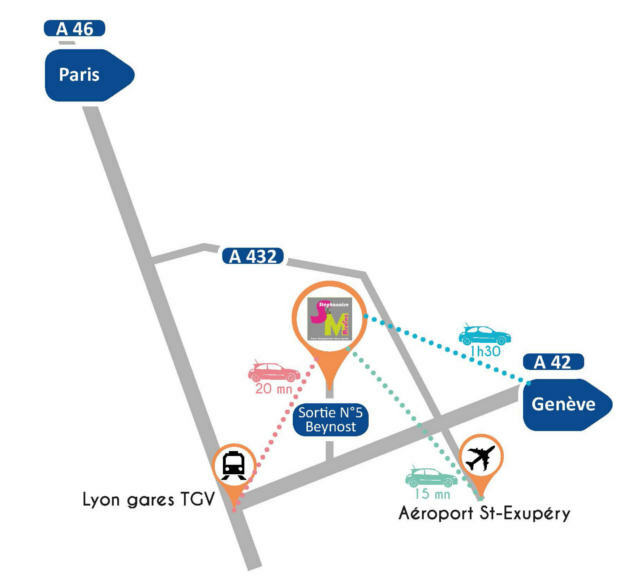 Our company is located in the Ain French department, we are at the crossroads between the main distribution commercial routes. Near Lyon, served by the TGV, the Motorway and the Lyon Saint Exupery Airport.